Rent villas in Diano Arentino, Italy with private pools. This 6 bedroom apartment is located in Diano Arentino and sleeps 17 people. This 2 bedroom apartment is located in Diano Arentino and sleeps 5 people. This 1 bedroom apartment is located in Diano Arentino and sleeps 4 people. This 1 bedroom apartment is located in Diano Arentino and sleeps 2 people. 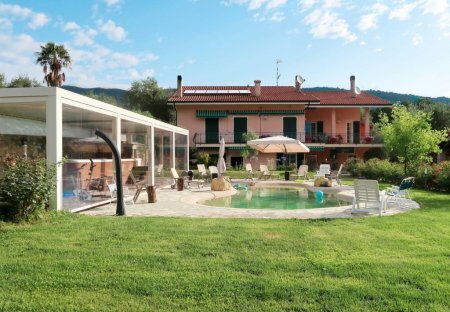 This 1 bedroom villa is located in Diano Arentino and sleeps 5 people. The villa is near a beach. This 3 bedroom villa is located in Diano Arentino and sleeps 6 people. It has barbeque facilities, parking nearby and a gym. The villa is near a beach. Holiday home in hilly position, only a few minutes from Diano Arentino and the center of the seaside resort of Diano Marina, on the beautiful Flower Riviera in Liguria. Independent holiday house in Villaggio Merea, a holiday complex 2 km from Diano Arentino and close to the center of Diano Marina and its beaches (7 km).